Boulevardier is a French-Inspired, Neighborhood-Friendly Bistro located in the historic Bishop Arts District. Brothers Brooks and Bradley Anderson looked to Abstract Explosion to launch their new restaurant concept Boulevardier, a French-inspired, neighborhood-friendly bistro located in Dallas’s Bishop Arts district. 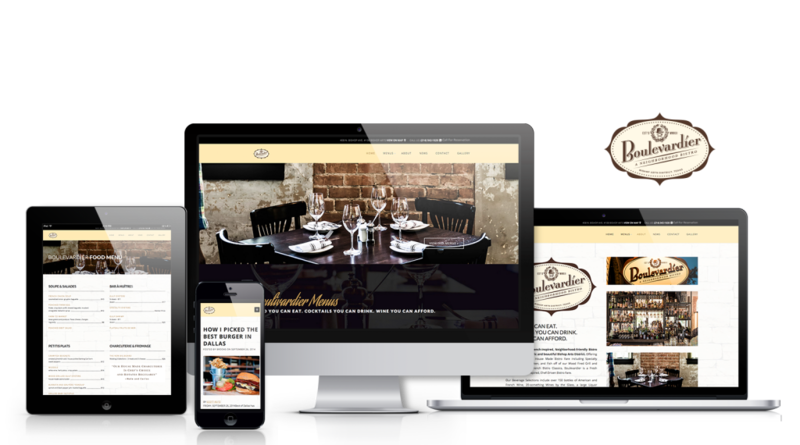 The website was built on the WordPress platform and mimics the decor of the restaurant as well as its eclectic menu. Bradley Anderson (left) and Brooks Anderson (right) are building a family-run restaurant empire along with chef Nathan Tate.